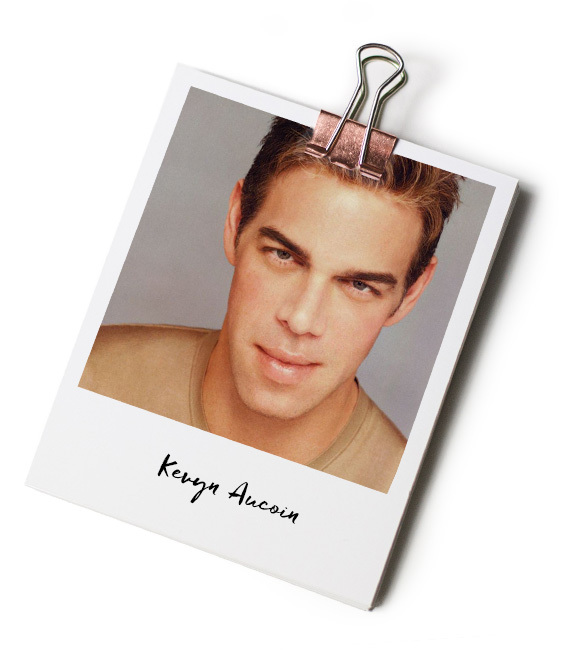 If you know your makeup history, then you’ll know of Kevyn Aucoin – the pioneering makeup artist credited with turning the art of makeup application from a behind-the-scenes magic-trick into an accessible and universally empowering skill, to be employed and adapted by women of all ages. With no formal training, Aucoin’s ability to see beauty everywhere was inspired by his own personal struggle – growing up as a gay man in the deep south of America. Born and raised in Louisiana, he was bullied throughout his childhood and took refuge in reading fashion magazines and creating a portfolio of beauty looks, using his younger sister as a model. At 15, Aucoin dropped out of high school and started working on cosmetic counters before moving to New York in 1982; where, after a chance meeting at Vogue, he was hired by legendary fashion photographer Steven Meisel. Within two years, he was a legend in the industry, working with models such as Kate Moss and Cindy Crawford, and sitting as Creative Director for Revlon, overseeing the launch of their groundbreaking The New Nakeds range. 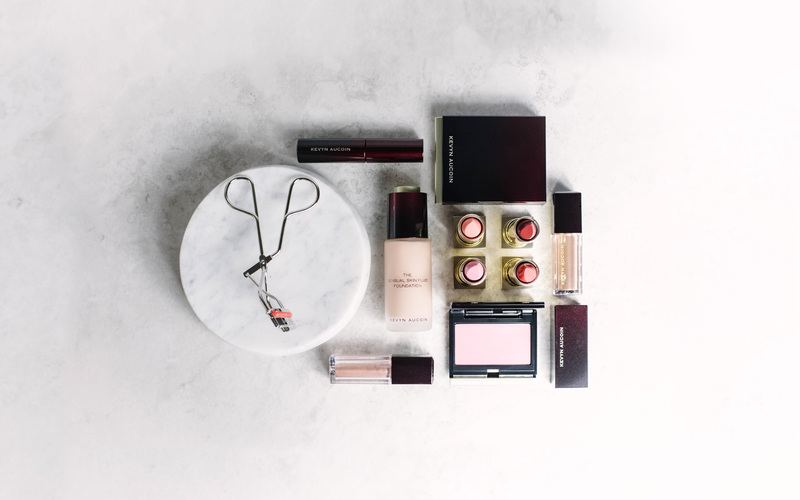 Aucoin sought to empower women by revealing their natural beauty – the neutral colours and delicate textures used in The New Nakeds served as one of the most influential creative inspirations for beauty of the decade. Despite the rocky start in his early life, Aucoin became one of the most successful, requested, and adored makeup artists of the twentieth century. During his 20-plus year tenure in the industry, he was the makeup artist of choice for actresses, supermodels, and rock stars, and helped to develop products for major cosmetic companies. His work appeared everywhere – from high-fashion catwalks to glossy magazine covers (he once worked on 9 Vogue covers in a row), red carpets, music videos, and advertising campaigns. Inspired to empower ordinary women by placing his skills in their hands, Aucoin published three best-selling books, The Art of Makeup, Making Faces, and Face Forward – self-help manuals designed to help women learn to express their individuality through makeup. In Making Faces, Aucoin demonstrated how any face could be transformed with the correct tools, products, knowledge, and inspiration. He turned members of his family, friends, and clients into iconic celebrities and figures of the past. His style broke outside the uniform standards of the beauty industry – celebrating quirks and imperfections, and promoting individuality and feminism. 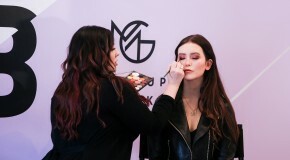 Aucoin’s legacy lives on through his makeup collection, which he launched the year before he died. He viewed makeup as an enhancement, not an ornament, and the importance of detail, tradition, and quality is evident in his state-of-the-art tools and high-performing products. Aucoin’s own ideals are intrinsic to the brand’s stance as a source of universally wearable beauty products. The idea that true beauty transcends time is reflected in every product – each designed to enhance the natural beauty of women of all ages. As suited to women in their sixties as they are to twenty-somethings, the products’ appeal spans the generations, encompassing both subtle, natural looks as well as bold, graphic ones. 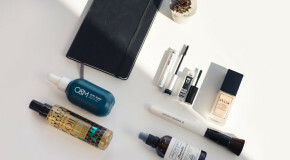 Aucoin was never wholly content with applying products to the face in a conventional manner – he strove to transform women’s faces through unique and customised techniques, which the brand has translated into niche, unique products. Each new addition to the collection celebrates Aucoin’s expertise and philosophy, delivering his skills and vision into the hands of modern women. 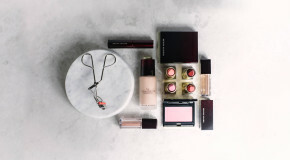 Armed with Aucoin’s uniquely formulated, high-performance products and award-winning tools, women are empowered to look and feel beautiful, showcasing their natural beauty rather than masking it under layers of heavy makeup. Applied over foundation or bare skin, this sheer, champagne-coloured liquid offers an illuminating gleam that highlights the areas of the face where light would naturally fall. Dab over the high points of the face with your fingertips or mix it in with your foundation for an all-over ethereal glow. Using a combination of powder and wax within a mechanical pencil, this precision lead is the thinnest and strongest on the market - perfect for drawing individual, natural-looking hairs for a subtle, natural finish with depth and dimension. Casting a subtle shadow wherever it is applied, this powder (a favourite of Adeles) is designed to delicately enhance facial contours. The perfect balance of red and grey pigments creates a universally wearable and flattering hue that can be used to carve cheekbones and define the hollows of the face. 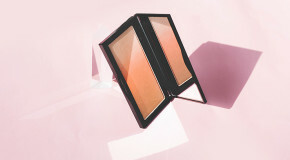 This highly-pigmented, versatile formula can be used as concealer, contour, highlighter, and foundation - offering a maximum coverage that blends beautifully to even the skin tone and cover blemishes with a flawless canvas and glowing luminosity. Apply with a brush for precision concealing or mix it with a moisturiser to create a weightless, sheer base. This perfectly textured lip pencil is a favourite of Victoria Beckham, designed to outline, define, and enhance the natural shape of lips. The firm formula draws a defined line but is creamy enough to glide on smoothly for a full, plump pout.